Over the course of his career, Justin Brooks has served as counsel on several high-profile criminal cases including the exonerations of San Diegan Kenneth Marsh (who served 20 years of wrongful incarceration) and Uriah Courtney (who served 8 years of wrongful incarceration). He is best known for his work exonerating NFL football player Brian Banks. 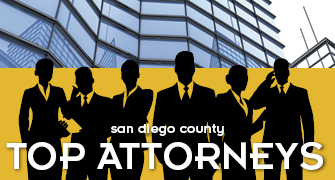 For his legal work, he has been recognized several times by the Los Angeles Daily Journal as one of the Top 100 Lawyers in California and has twice been awarded a California Lawyer Magazine “Attorney of the Year” award. Brooks is the director of the California Innocence Project at California Western School of Law where he supervises a team of lawyers and law students dedicated to the release of wrongfully convicted inmates. In conjunction with this work he teaches criminal law, criminal procedure, wrongful convictions law, and works on state and national policy reform to reduce the number of wrongful convictions. He also works internationally, training lawyers and law students throughout Latin America where he has also assisted in the founding several innocence projects. He has published the only legal casebook devoted to the topic of wrongful convictions and has published extensively on the death penalty, corrections law and other criminal law topics. Tenured law professor, California Western School of Law; Director, California Innocence Project; Executive Director, Institute for Criminal Defense Advocacy; Director, LL.M. in Trial Advocacy; Director, RedInocente.